HomeJewelryNecklacesOrange shell flower necklace on cord. 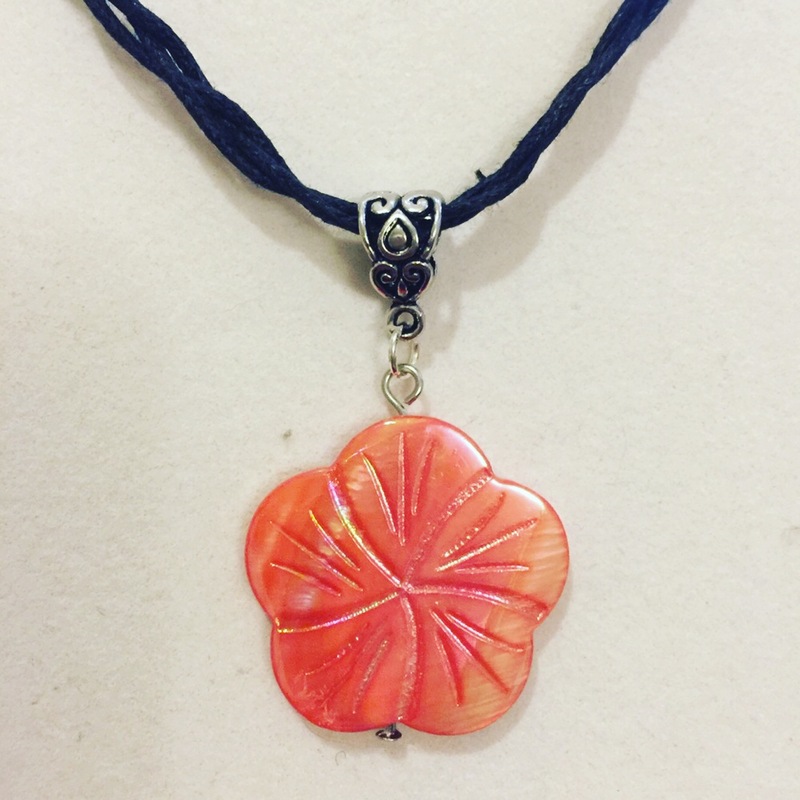 Orange color shell flower necklace, handmade by me. about 11″ long, from clasp to shell pendant.